July « 2010 « R-V There Yet? 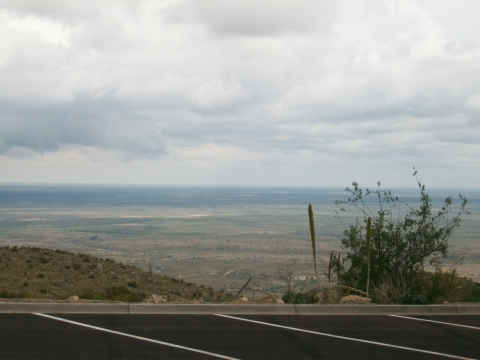 After leaving Carlsbad, we headed a little further west and into the mountains where we settled for a time in Ruidoso, NM, some 7,000 feet above our normal sea level. 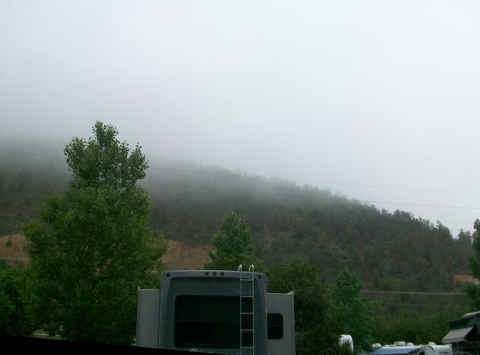 We parked ourselves at the Twin Spruce RV Park, surrounded by mountains and located on Hwy 70 on the southwest corner of town. The park is run by a really nice family. Breakfasts are provided daily, they have a pool, WiFi, and numerous other amenities. Afternoon rain and fog cooled things off. Things steamed up by 6:00 PM. 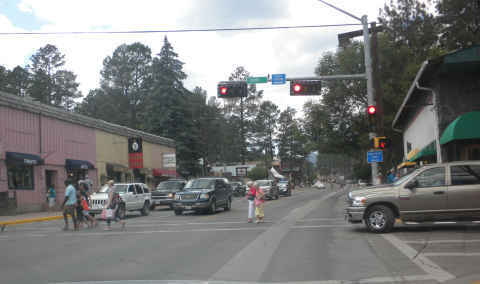 Ruidoso is a mecca for shoppers interested in all things Native American, including large carved wooden objects, especially bears. The traffic on weekends and “rush” hour is terrible. They are overrun with pedestrian traffic on weekends. Take a look at the Ruidoso Web-cam. It is quite a good one. For AT&T users, if you stand near the corner of the Dodge dealership parking lot at the corner of Hwy 70 and Mescalero Rd. you may get a signal. Try standing on one foot if you have difficulty. 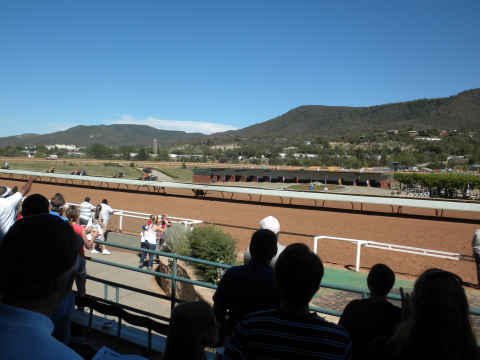 Ruidoso Downs is a horse race track that is just southeast of town, also on Hwy 70. We’re still waiting for our horse to cross the finish line. 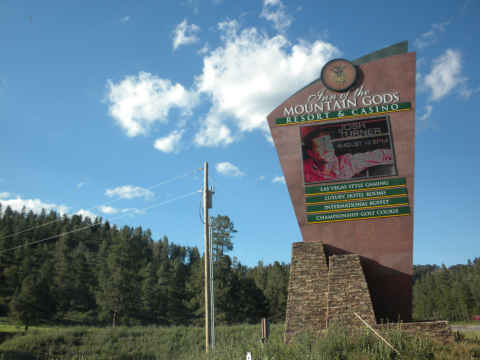 On the other end of the gambling spectrum, The Inn of the Mountain Gods is a casino and resort located on the Mescalero-Apache reservation just east of Ruidoso. The slot machines were much friendlier to our finances. Headliners at the resort include stars like the Temptations, Merle Haggard, and Vince Gill. 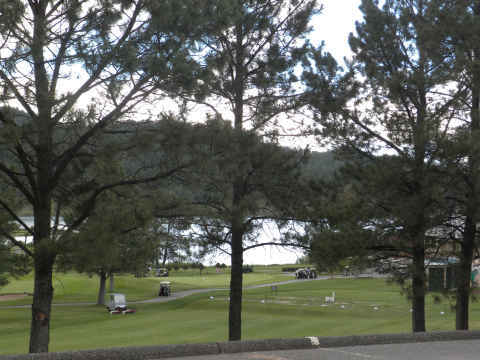 There is a lake and a beautiful golf course on the property. 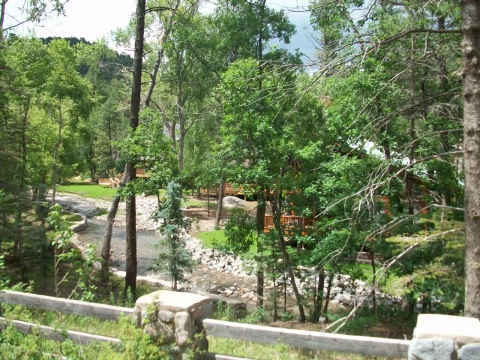 Ruidoso is a retirement and vacation area with homes a little on the pricey side. 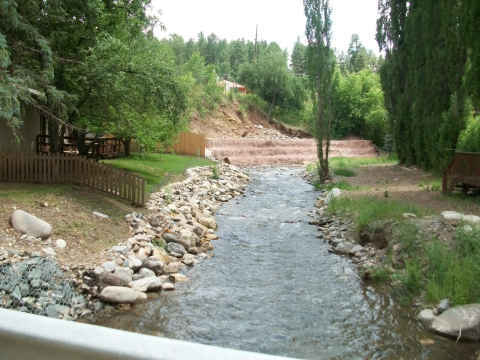 Rio Ruidoso is the river that runs through town and a few years ago floods knocked out some of the small bridges and flooded many of the homes built in the valley. 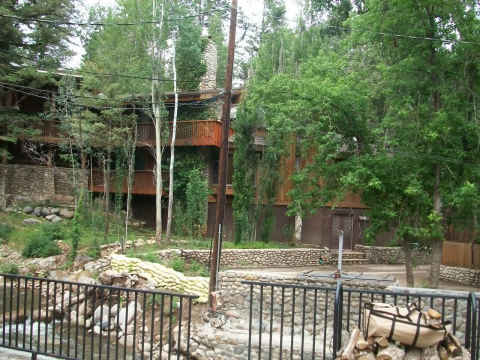 Many homeowners along the river maintain a fairly nice lifestyle. This is a beautiful area with moderate temperatures. Rick isn’t a big fan of the altitude. 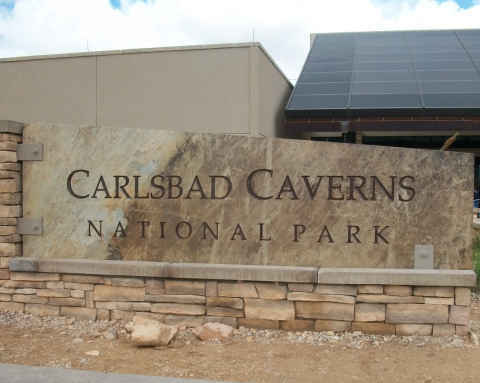 Next stop, Carlsbad Caverns National Park, near Carlsbad New Mexico. We stayed at the Carlsbad RV Park, about 15 miles away from the caverns. It is a nice facility. Since this is the desert, you might expect that excess rain is not handled well. We found this to be the case. It had been raining quite a bit and the pull-through sites were extremely muddy. We moved to one of the newer back-in sites that were well drained and graveled. For big rigs, I wouldn’t recommend any of the parks that are closer the the caverns. The drive to the National Park entrance was fairly flat on a nice road. Of course, some road construction was underway. 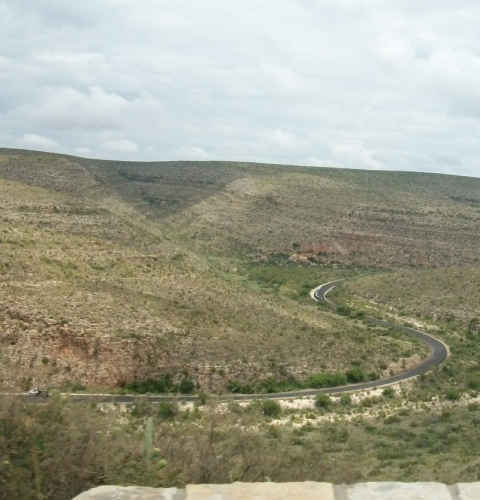 Once you enter the Park, you begin a windy vertical trip to the top of the mountain, where you find the Carlsbad Caverns Visitor Center. Looking down on the road. You can see from this photo how high the cave entrance is over the surrounding plains below. We made two trips to the Caverns. We made our first trip before dusk after we were settle at the RV park. The object of this visit was to visit the cave entrance to learn about the bats that reside in the cave and to observe their daily exit in search of food. An amphitheater is provided for this function and takes place every evening when lightning is not present. 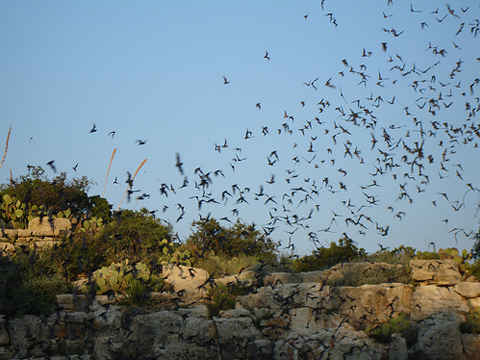 Like clockwork, the bats begin to circle and spiral out of the cave at dusk. 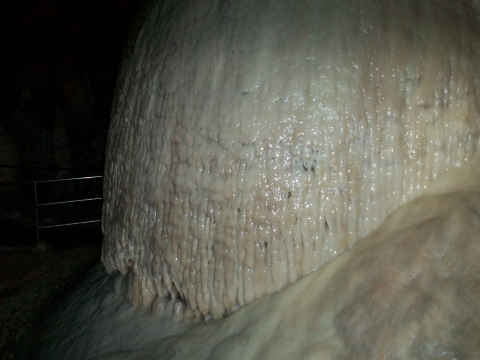 Our second trip to the Caverns was the next morning to tour the caves. 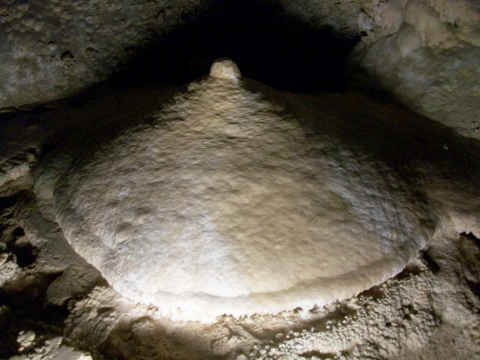 There are two ways to tour Carlsbad Caverns. The first is to walk the path down into the mouth of the cave and wind your way to the heart of the unending display of nature’s finest. Having made this trek several years ago, we opted for the 750-foot elevator ride down to the same area. Since we forgot to bring the good camera, our photos don’t do justice to the place. You’ll have to go see the Caverns for yourselves. We’ll only give you a few. 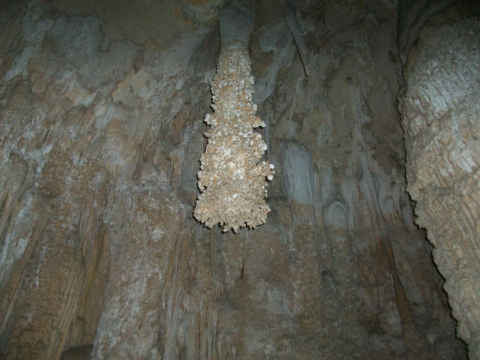 This type of stalactite is called a lion’s tail. Not sure what they call this one. Depending upon how rainy the season is determines whether there is much growth activity taking place. This structure was covered with water. 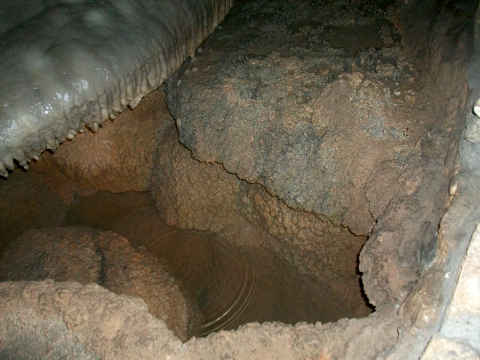 The pool below the structure was collecting the drips. 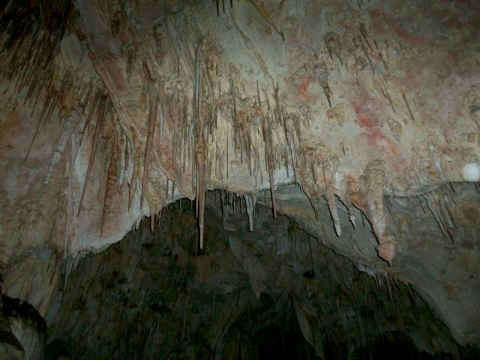 The formations varied in size from these very small stalactites………. to massive columns formed after centuries of deposits. 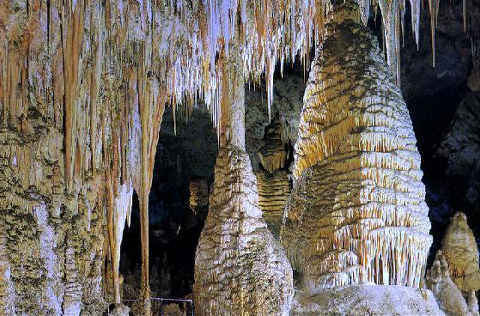 Discovered in 1898 by 16 year old Jim White, Carlsbad Caverns have been explored ever since. I can’t imagine myself exploring the caves with only a kerosene lantern for light, no paths and only a good memory to help find a way back to the exit. Jim White’s story is fascinating. If you’re in the area, this is a DON’T MISS destination. As you might imagine, while driving west from the Dallas/Fort Worth area we’re used to seeing oil well after oil well. Oh yes, they are still there and pumping like crazy. But, the population of the “new oil well” is growing dramatically. 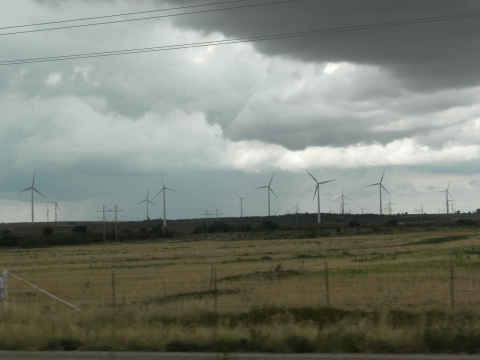 Of course the “new oil wells” are actually windmills. We knew that it was always important to never sell your mineral rights. Apparently that goes for surface rights too. In an effort to improve schooling options for Ayden, Lance has been in search of new housing. He settled on Red Oak, TX. The Red Oak Independent School District is on of the best in Northern Texas and Ayden’s new elementary school has been rated Exemplary by the state. Lance has just purchased his first home, located on a quite street within a few blocks of the school. Here, Rick tours the outside of the house with Lance. They have a gigantic back yard that will be perfect for pets. We’re thrilled for them and look forward to visiting after move in day. We left the Boston area with an interesting meal at the Bugaboo Steakhouse on Arsenal Street. 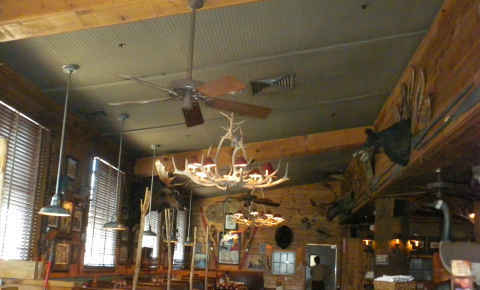 This place, with its 20+ antler chandeliers, has more antlers and trophies on the wall than Marc’s (our oldest son) living room. They even sported a huge bison head that would break out into speech touting the specials for the evening. The food was quite good. Now we’re off to the purpose of our visit to New England. 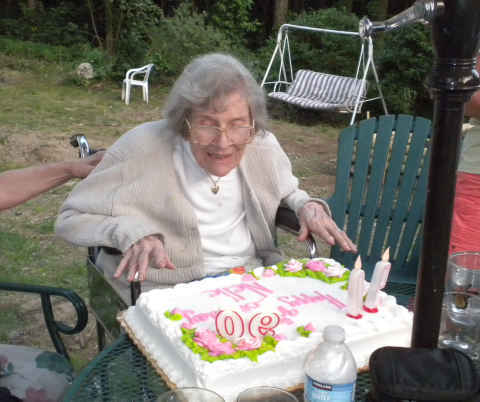 Rick’s brother, Gary, hosted a party to celebrate their mother, Nelle’s, 90th birthday. 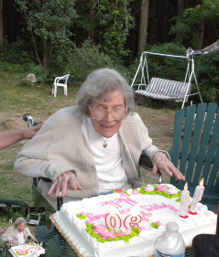 While we were at it, sister-in-law Lynn, Bob’s widow, had passed a milestone also. Gary, his wife Meg, and son Noel have run themselves ragged getting ready for the weekend. Other family members that arrived were; Richard and Shirley (St Louis), Todd (Seattle), Brian (Colorado), and Lynn and Tammi (Virginia). 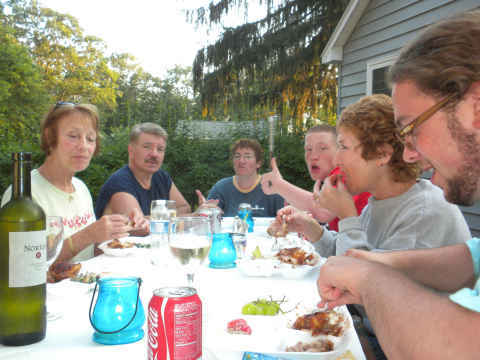 The weather cooperated and we enjoyed a nice outdoor feast. 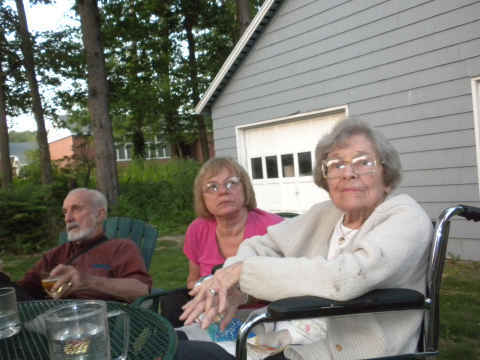 Here is Mom, along with her brother, Richard and his wife Shirley. Our hosts look on from the far end of the table. 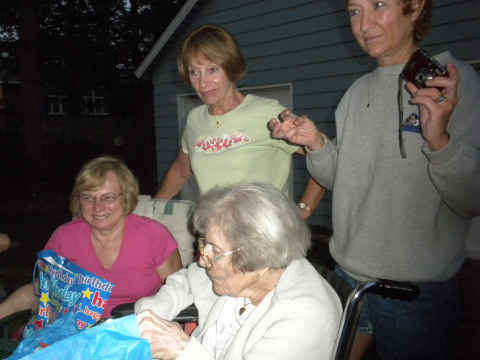 Shirley, Lynn, and Tammi look on as Mom digs into her presents. 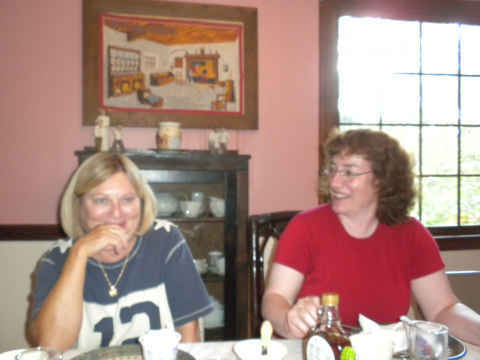 Tinka and Meg relax over breakfast. We had a fabulous time before heading back to Boston and then to Dallas. It was really good to see the relatives from around the country. 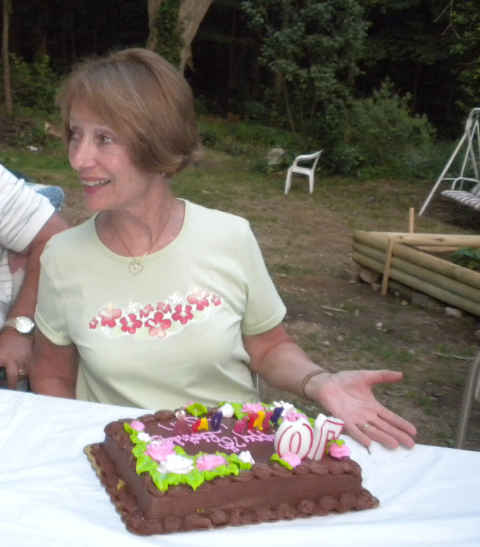 All of our thanks go out to Gary and Meg for all of their efforts in putting together this get-together. On a totally unrelated subject, Tinka has been bombarded with questions about her new sandals. This cute little number came from 9-West. I don’t know the cost, but judging from the interest, they were worth it. You are currently browsing the R-V There Yet? blog archives for July, 2010.